A day on the magical island of Praslin, which the first explorers considered a "garden of Eden", on the discovery of two dream-like beaches: Côte D'Or, where as well as relaxing, we can do some shopping and buy delicacies in the small inhabited centre, and the fairytale-like Anse Lazio, considered one of the most beautiful beaches in the world. We will hop on-board a vessel which takes us to the Island of Praslin, the second largest in the archipelago and one of the most desirable and exclusive destinations in the Tropics. After disembarking at the port of Baie St Anne, on-board a minivan, we will begin our sightseeing tour of the island, described as a "garden of Eden" by the first explorers owing to its palm trees and the dense tropical forest which houses numerous bird species. We will stop at the village of Côte D'Or,where we will have some free time to swim and relax on the magical beach. We use this break to taste local speciality for lunch. 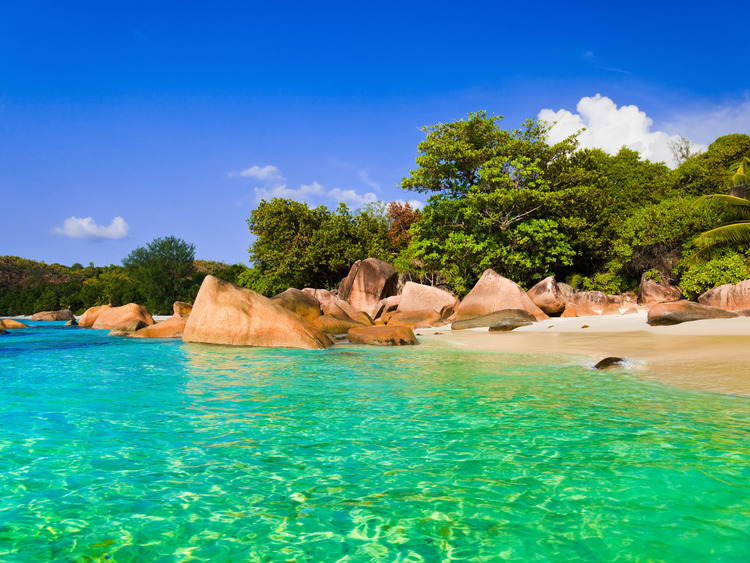 Our next destination is the beach of Anse Lazio_ _often described as one of the most beautiful in the world. It is the ideal place to swim or relax in a dreamlike setting, before returning to Mahé on-board our vessel. Given that the water is not very deep, you may find algae and sea plantlife.